In his opinion, the blockade was organised to damage Ukraine's economy. 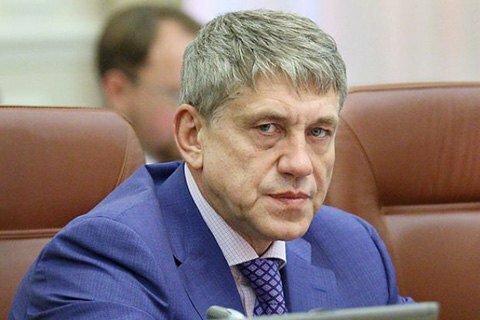 The National Security and Defence Council (NSDC) did not consider an option of a crackdown on the blockade in Donbas in order to have it removed, Energy and Coal Industry Minister Ihor Nasalyk has told Sonya Koshkina on her Levyy Bereg talk show. He said the activists behind the blockade were seeking to damage Ukraine's economy. "The blockades were put with a view to the state using force to solve these problems. But the state took to dialogue, allowed for an opportunity to weigh all cons and pros. I think we said the most important thing: there can be no smuggling. What are smuggled things? These are counterfeit, excisable goods. These goods must be controlled. But when it comes to energy or the metallurgical sector, it is a different issue," he said. At its meeting on 16 February, the NSDC instructed law-enforcement agencies to ensure order in the antiterrorist operation area in Donbas, in particular by securing critical infrastructure facilities.